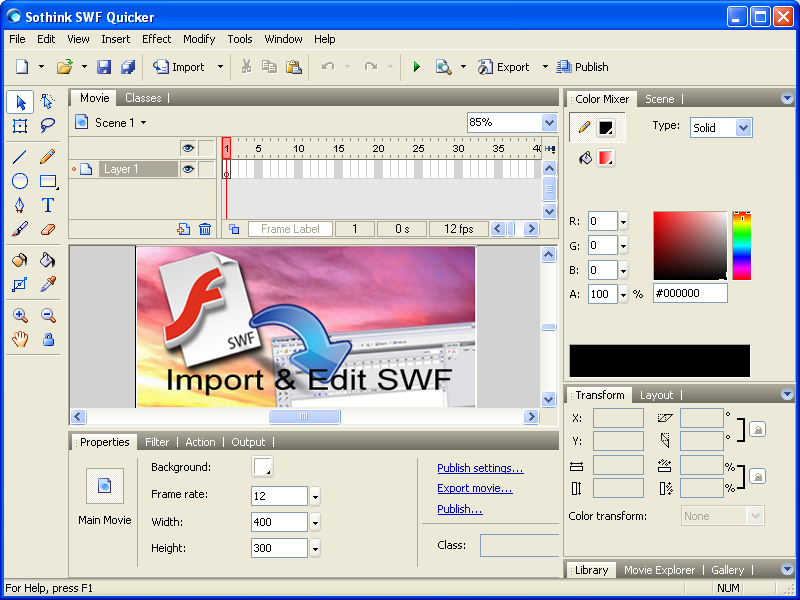 It is a versatile Flash Maker and SWF editor, as well as an excellent tool to browse, play and parse Shockwave Flash movies, supporting writing ActionScript 2.0. Animated GIF can be imported. The Quick-start Wizard can guide you to create an animated slide show, Flash album, banner and button in minutes. It is powerful in exporting all elements in various formats and convert SWF to FLA.